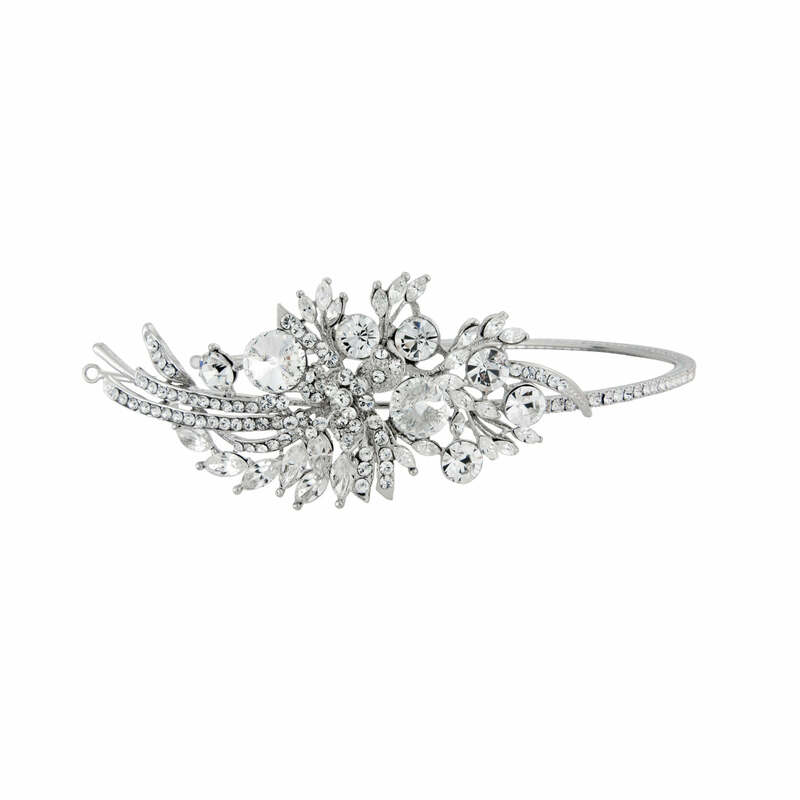 Inspired by precious 1920s side tiaras, this is a 'piece' to treasure. An exceptionally beautiful side tiara inspired by precious diamond headpieces from the fabulous roaring 1920s, this could easily be mistaken for a treasured heirloom. 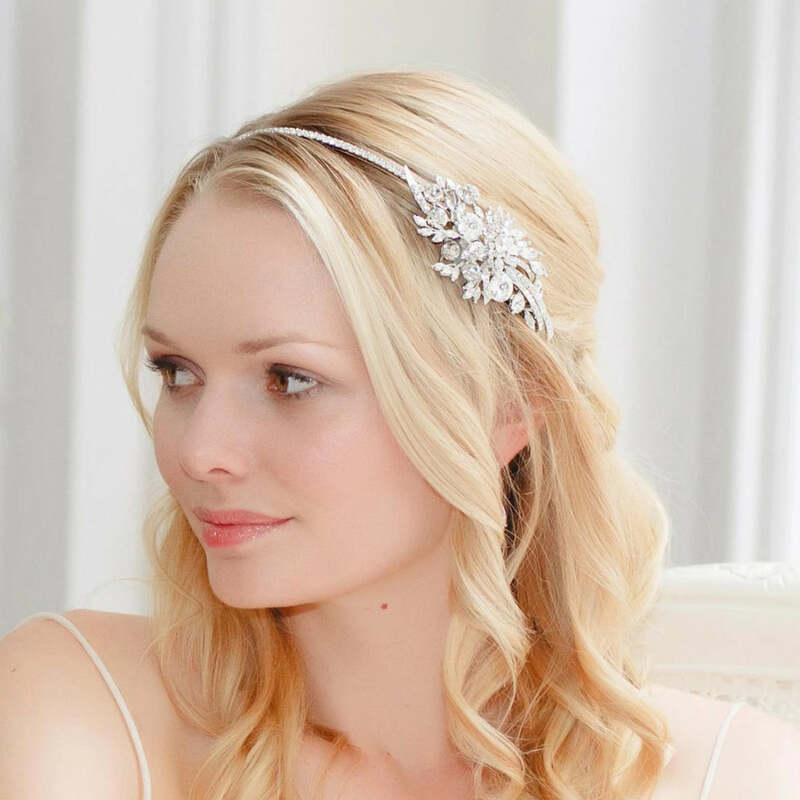 Featuring a fine Austrian crystal encrusted single head band with a side adornment of flowers, leaves and scrolls adorned with crystals, the band has extended hooped ends for pinning to the hair with kirby grips. A divine side tiara to compliment a variety of hairstyles, this adorns a chic up-do with timeless elegance or a tousled bun with romantic glamour. Perfect for brides who adore 1920s vintage wedding tiaras, this compliments vintage inspired gowns to perfection and looks stunning teamed with crystal drop earrings and a dramatic cuff.